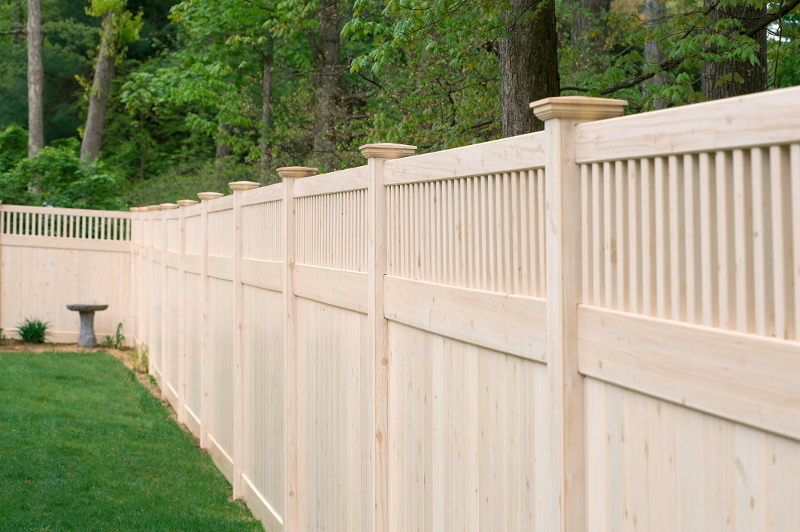 Where can you find PVC vinyl low maintenance wood fence? Well guys, it’s that time of year again. The lion of Winter is roaring, but Spring is almost upon us. It’s soon going to be time to break out our paint brushes and spend hours upon hours…. upon hours… refinishing our wood fences in time for that all important season opener barbecue. But wait… WHY? Why spend a giant chunk of your valuable free time refinishing a wood fence for the umpteenth time? Then just to have to do it all over again next year. Oh, we understand. 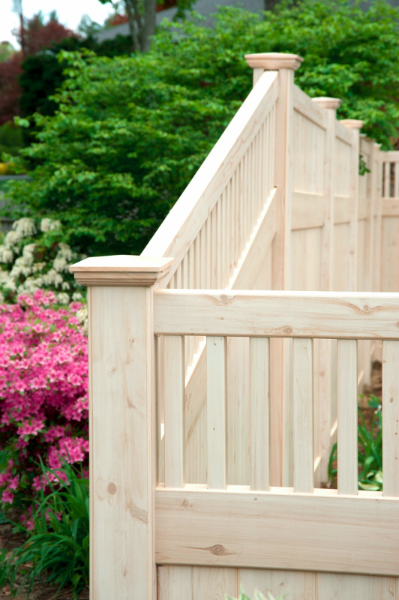 It’s because you want the look of natural wood fencing. Luckily there’s a perfect alternative. Grand Illusions Vinyl WoodBond! Not only does it have the look of real wood fence, but you barely have to do anything to it. It will look that good for years and years. 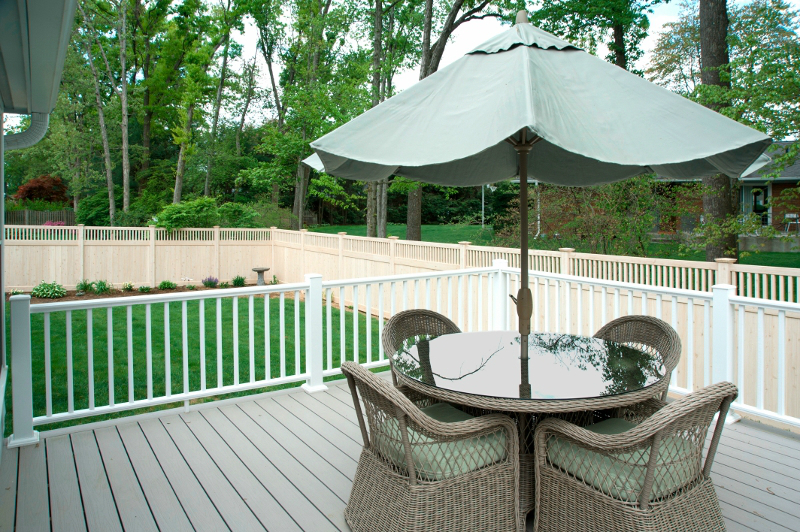 Take a look at the above photo of a V3701-6 Privacy T&G with Framed Classic Victorian Picket Topper. 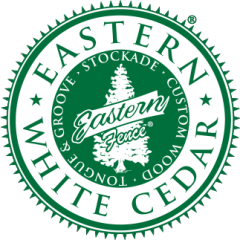 If you didn’t already know it was Grand Illusions Vinyl WoodBond Eastern White Cedar (W105) Vinyl Fence, would you know it wasn’t real wood? My guess is probably not. 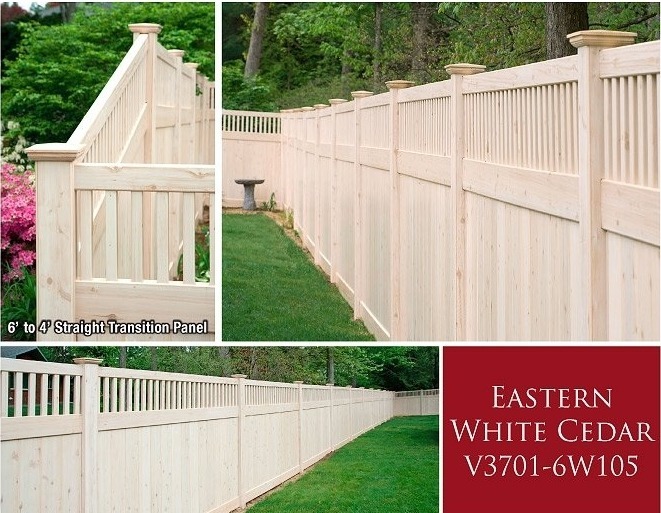 This fence is perfect for the customer that wants that natural look, but doesn’t want to blow their Memorial Day, or any other day for that matter maintaining their fence. So this year when their neighbors are sweating and swearing, YOUR customer will be packing their family up and heading to the beach!